@THEDreamThief Thanks, I will check that :) That helps me a lot. I have worldedit also installed, but have removed it and have the same results. Other than that no other mods loaded to my client or server. You have to use the Multiplayer Mod. Or PN me the server address. Maybe you send me the serveradress. I will check if it works. Is there any exception in the log of the server? Are you all using the right Client Mod? It doesn't seem to work on secondary worlds with the multiverse plugin. VillageMarker 0.31b Plugin VillageMarker2.162bMP mod. What is the best way to check it out? and for craftbukkit, i first used the 1.6.2 BETA build, and I'm currently using the 1.6.2-R0.2 Development Build. Still nothing. Wich version do you have for plugin? Wich version do you have for village marker mod? Wich Minecraft version do you have? Ok thanks, I suspected that bukkit would change the package name from the village classes. But it seems to stay the same. I will publish a version for Bukkit 1.6.2 and change the catch for Java 1.6. @eruvanos If you mean a recommended Build by "stable 1.6.2. build" then its probably going to be a while. I made it work for 1.6.2-R0.1 (Build #02823) and as you don't use obfuscated functions it shouldn't break every build. Or am I just not getting why it would break. as I build against java 1.6 and it doesn't supports multi catch parameters. 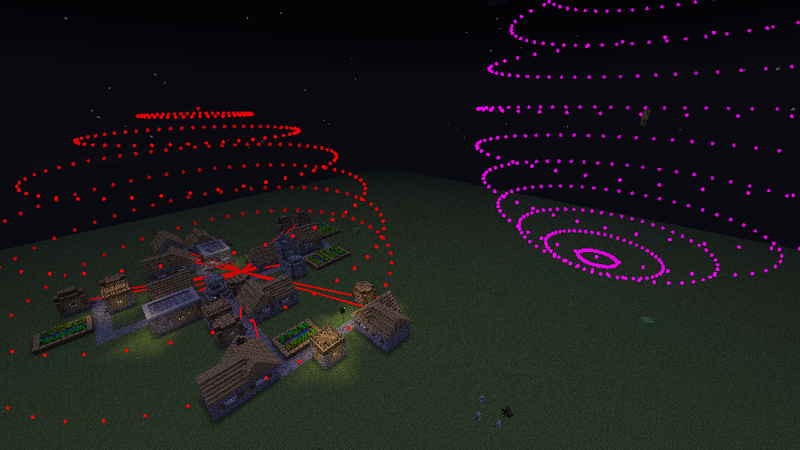 Anyway, great plugin-mod combo, helped me allot debugging Tango Tek's iron-trench. Yes, I will publish an update when bukkit releases a stable 1.6.2 build. Will you be updating this for 1.6.2? EDIT: Fixed the issue, new version will be downloadable in a short time. Mine seems like it wont work :/ do u have anything i can test to get it working properly?